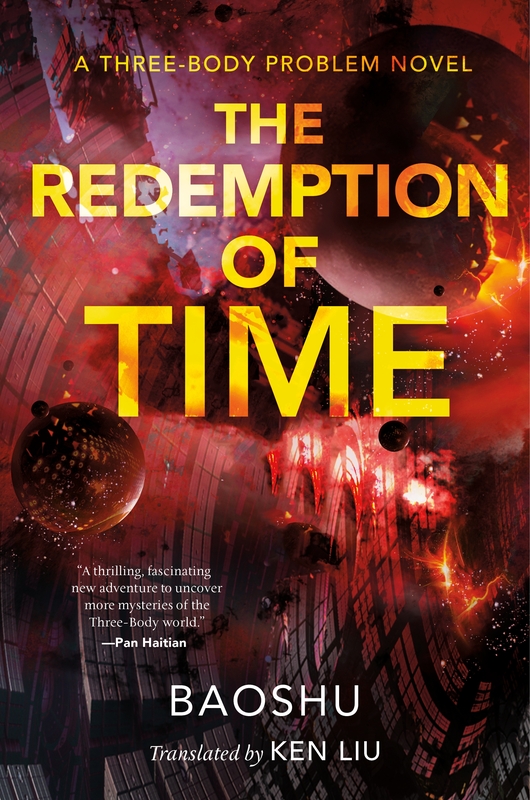 Set in the universe of the New York Times bestselling Three-Body Problem trilogy, The Redemption of Time continues Cixin Liu’s multi-award-winning science fiction saga. This original story by Baoshu—published with Liu’s support—envisions the aftermath of the conflict between humanity and the extraterrestrial Trisolarans. In the midst of an interstellar war, Yun Tianming found himself on the front lines. Riddled with cancer, he chose to end his life, only to find himself flash frozen and launched into space where the Trisolaran First Fleet awaited. Captured and tortured beyond endurance for decades, Yun eventually succumbed to helping the aliens subjugate humanity in order to save Earth from complete destruction. BAOSHU is a Chinese science fiction and fantasy writer. After receiving his Master of Philosophy in Peking University, Baoshu continued to study at Katholieke Universiteit Leuven and got a second masters there, and finally became a full-time science fiction writer in 2012. His previous books include What Has Passed Shall in Kinder Light Appear, Garuda, Ruins of Time and Maharoga.